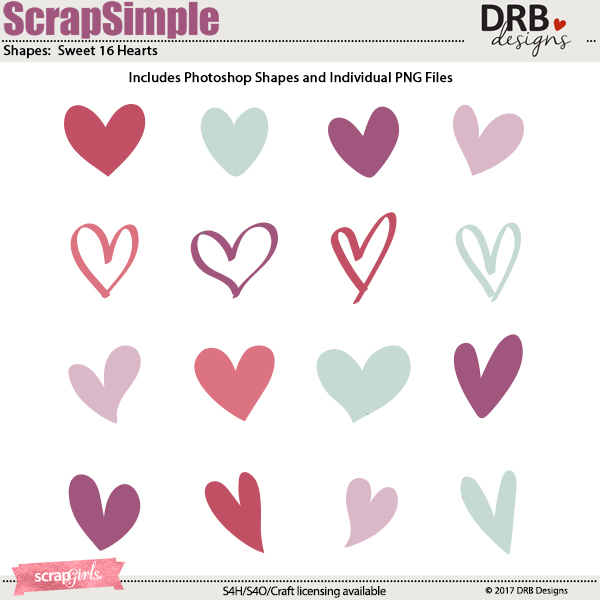 Here is a set of 16 beautiful and useful heart shapes that are saved as a Photoshop Shape Set. You will receive a Photoshop CSH file plus 16, high-resolution, approx. 6-inch high or wide PNG files. Compatible with Photoshop and Photoshop Elements. 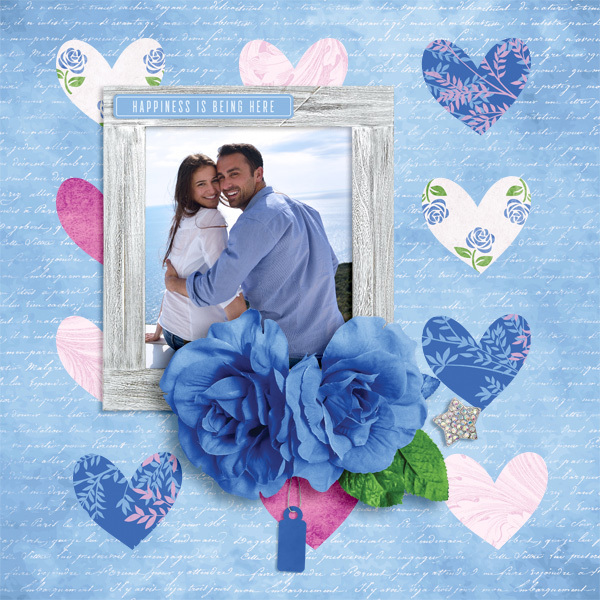 Create a beautiful and dynamic layout with ease using the ScrapSimple Digital Layout Templates: Pretty Paper Pieces. You'll get into the Christmas spirit quickly when you create festive layouts this holiday season with the Christmas Wishes Collection! 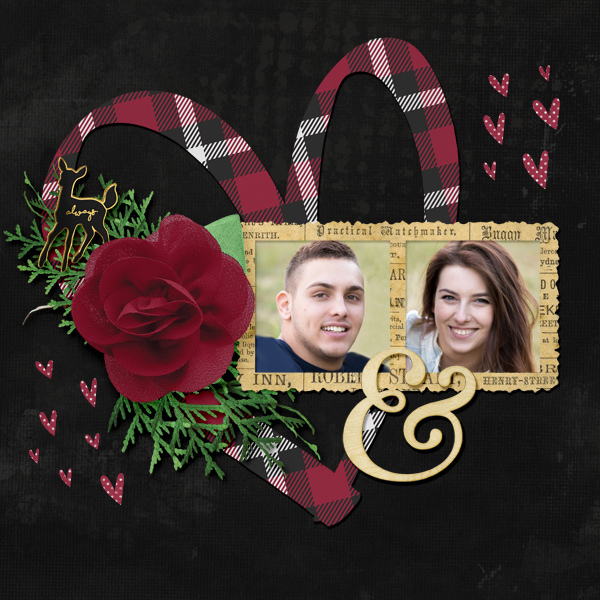 Create romantic cards, tags, pages and other crafts for Valentine's Day and beyond with the Hearts and Souls Collection Mini. Marlene's templates are marvelous! She make it easy to put together a great-looking two-page layout. I love the curves and circle on this set.